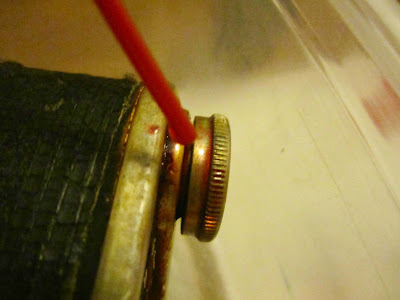 Kristy Hom: Reviving an old rusty camera! 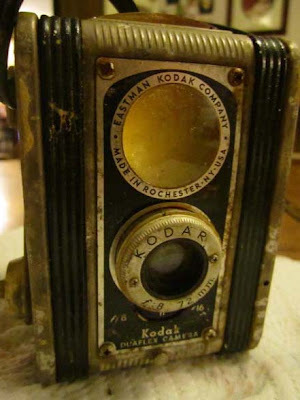 A friend gave me this rusty, wet, grimy little beauty last night- a vintage Kodak Duaflex camera! This camera was made from 1947-1959 in The States. It has a focusable lens, 3 aperture settings, and takes 620 film. 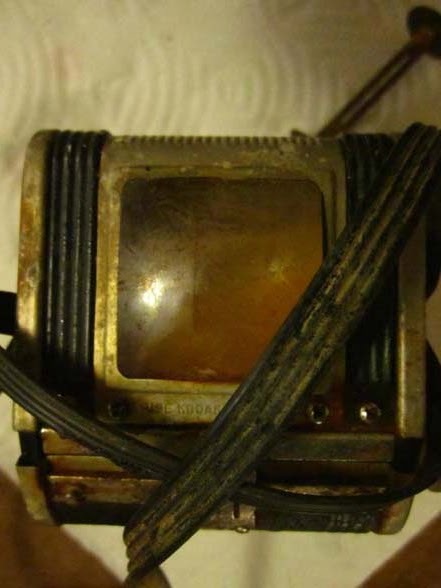 This is the viewfinder- full of rust, too. 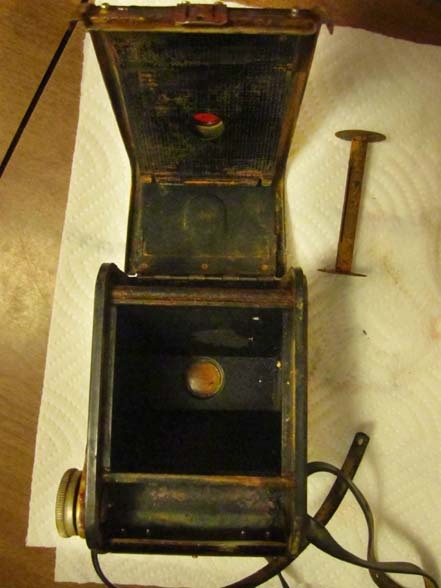 I'll have to take the whole camera apart to clean it out. I cleaned up the accessible surfaces with my homemade cleaner, and am soaking the screws and nooks and crannies in oil, in hopes to ease everything loose for a complete cleaning, and then see if it will still work!